Tokyo House sits in the Jing’an bar and restaurant nexus of Wuding Road and Yanping Road, occupying an unassuming Japanese-style store-front just off the main strip. It’s a go-to for a lot of people working in the area for its cheap sushi lunch sets. Go at peak hours and you will be waiting for a table - rock up, grab a number scrawled on a piece of paper, and wait to be called. It always seems to be busy. Oh, and they only take cash. 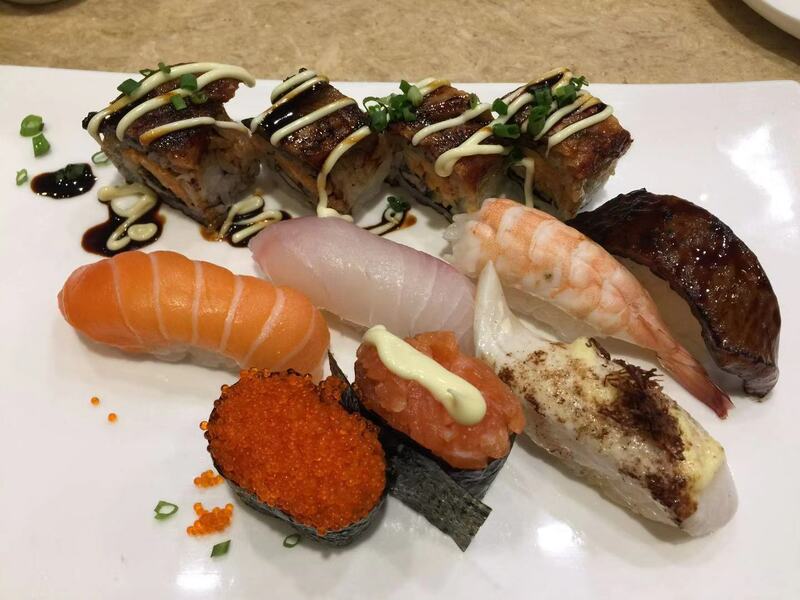 For all that hassle, you’ll be rewarded with one of the best value lunch-sets in the area and some seriously tasty sushi rolls and nigiri. It’s best suited for groups of four or less, ideally a weekday lunch or casual dinner. There are a couple of small private rooms at the back, but the place gets busy, and you might be sharing table or bar space with strangers. 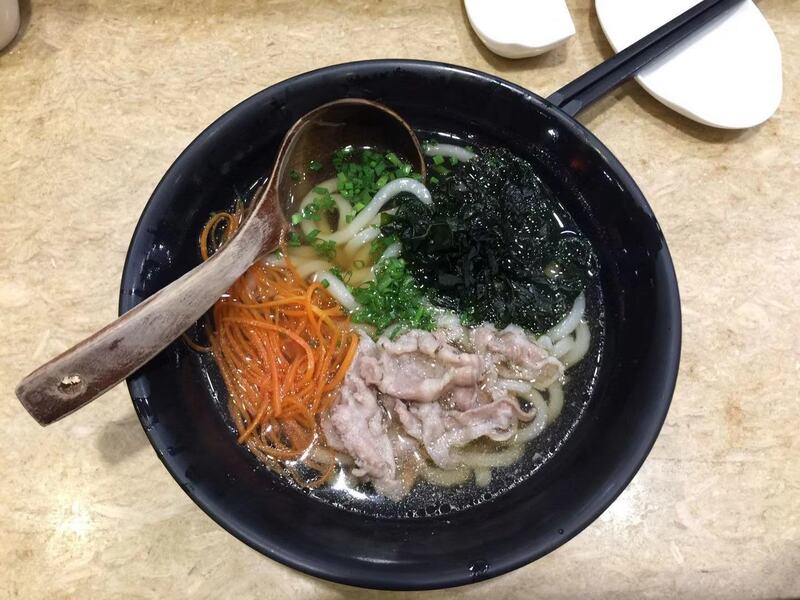 RMB 45 gets you nine pieces of sushi and a bowl of udon soup noodles laced with sliced pork, seaweed and grated carrot (both pictured). The noodles are fine, the meat broth good for a cold day, but they’re pretty much filler. 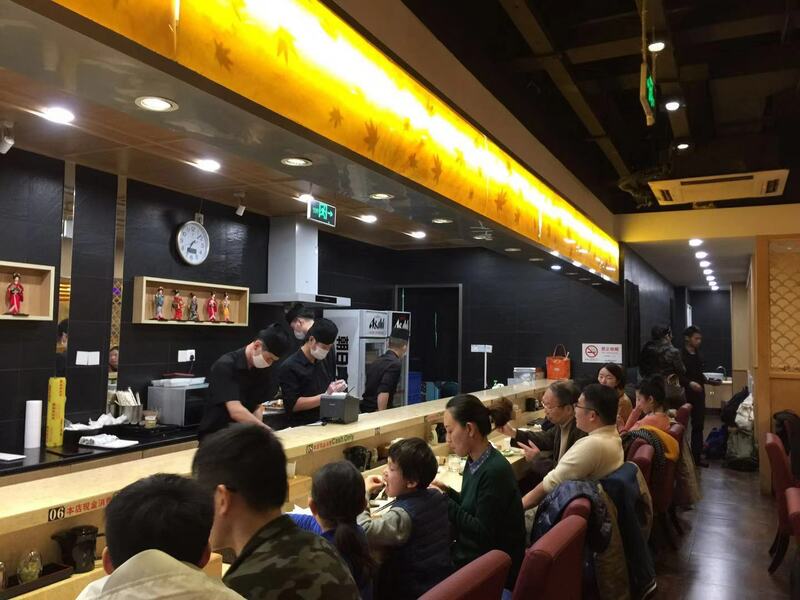 The sushi rolls are maddeningly addictive, packed with umami flavors that, though perhaps not ones that you’d find in an actual Tokyo house, clearly keep the Jing’an office hordes coming back. Trust me, I’m one of them. It’s not the best sushi in the world, but it’s A-OK, and the price more than justifies it. That’s Set A, and it’s a steal. Even better, they do that particular set during dinner service, too. Other sets combine various combinations of sushi with noodles and / or grilled fish, so there’s room for finding your own go-to. I haven’t ventured much into the sizeable a la carte menu of classic Japanese small plates, but plenty of tables seem to. 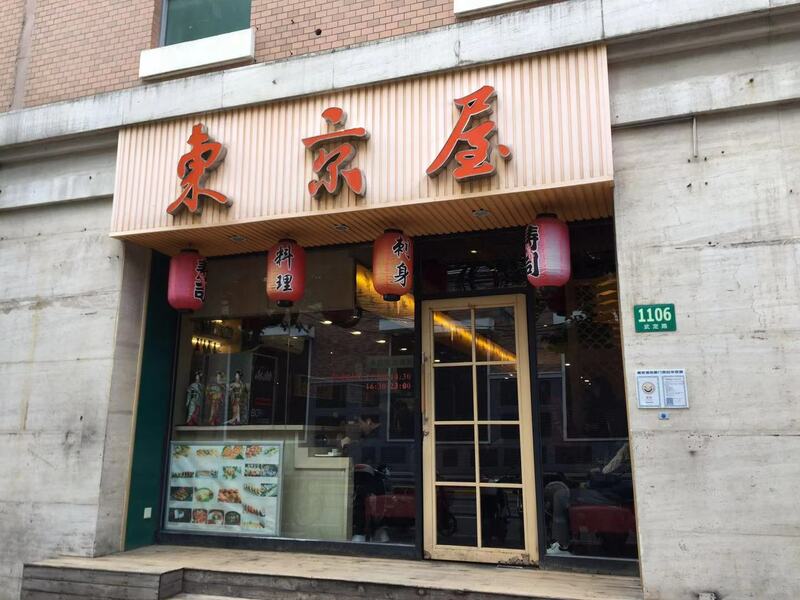 Lots of grilled meats, general seafood, and an extensive menu of of sushi options that will generally set you back RMB 10 to RMB 20 for one or two pieces. In order to keep a clear conscience, I have to end this review with a caveat. The one time I dined here with a Japanese friend, she called out the udon as probably frozen and described the sushi as “interesting”. She wasn’t into it. So, don’t come here for authenticity. Come for the great deals and the deliciousness of those sushi rolls. Authenticity is overrated. Michael Russam, from Leeds, England, first arrived in China to live in Wuhan, before coming to Shanghai to work in copywriting and marketing. He is particularly interested in regional Asian cuisines, and when he can, travelling to find them. Other hobbies include debating the merits of Shanghai dive bars and burger deals.